I wrote recently how Chhori has started childcare and how she was been great. It is sad to see that, she no longer runs to the toys or forgets about us as soon as we go inside the childcare. I think slowly she has started to realise that, she needs to go to the childcare regularly and her reaction started changing. Normally AS goes to drop her off so I can start work early and I pick her up a bit early. 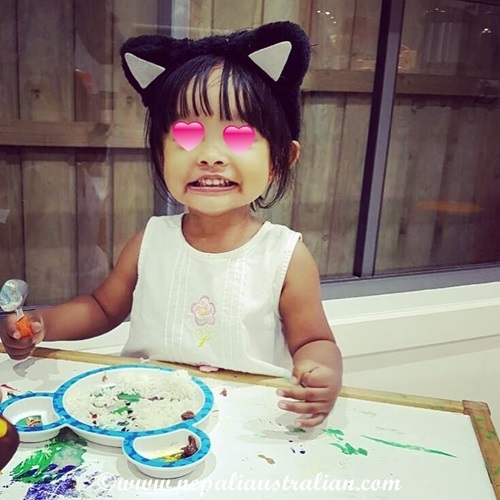 In the last few weeks, Chhori’s reaction to childcare has slowly changed from no tears to lots of tears. The first few days, she refused to let go of AS when they got inside the childcare. Then she started to cry once inside the childcare and now she refuses to eat her breakfast and starts crying as soon as she is in front of childcare. I was really happy when we had no tears initially but that period is over now. It really breaks my heart that she has to go through this. I know it is a natural stage of development and every parent has to go through this journey but this makes me feel so guilty and question our decision to do it in the first place. She is not even 2 years old and doesn’t communicate that well which makes it even harder. I am glad I am not the one who has to drop her off regularly because I would have cried with her every time there is a drop off. Just checking with AS every day and knowing that she cried makes feel me so sad. I feel so helpless; don’t know what to do to make it easier for Chhori. All the parents out there who have been through this please give me some advice/suggestions. 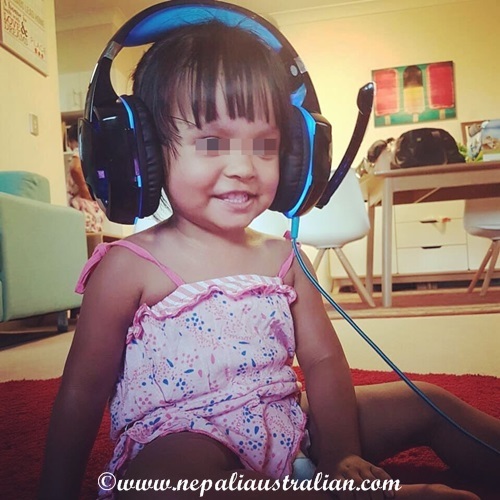 This entry was posted in Being Mum, Our daughter and tagged australian, australian nepali, chhori, child care, daughter, family, M from nepaliaustralian, mother, Nepal, Nepalese, Nepali, nepali australian, Nepali blog, Nepaliaustralian, road trip. Bookmark the permalink. Thank you . Yes it has and she knows she has so much fun there that she has stopped crying. I have been through these stages and I can tell u that it will get better. It’s hard but you need to be persistent and tough.make it quick. She will realize soon enough. Hugs. Well I’m not qualified to give advice, Australian, but I can understand how you are feeling. Let’s hope she will get used to the routine and feel better about it. I would have loved to stay home few days but that is not an option for us currently. I think the childcare she goes to is a good as my nephew has been there for few years and he loves it. I guess Chhori has to just get use to the place. I hope it does happen in time. 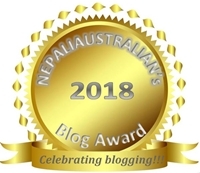 Thank you do much for your comment. I totally understand how you feel. I had to let my baby in nursery two days a week so I can go work. She is younger than your little one but I think she realises as well what nursery means. She started suffering from separation anxiety and she is sad most of the times. I wish I could do less days but she will be going 5 days a week and my heart breaks to know that she doesn’t want to be there. Hope our daughters will get use to this process and stop crying soon. Thank you. I am waiting for her to enjoy childcare .